From now until June 30, 2019, aspiring big bike riders can get their training costs funded when they purchase Harley-Davidson motorcycles from authorised dealerships. 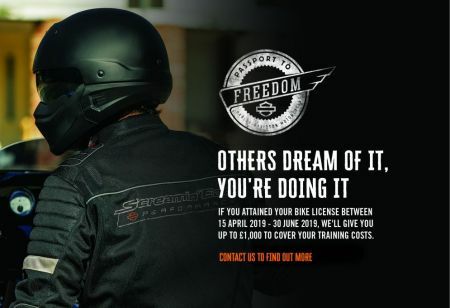 “Passport to Freedom is a programme that celebrates one’s personal motorcycling milestone. True to our stand of freedom for all, we are incentivising riders for taking the step up to big bike ownership and riding by helping fund their training costs from us. - Customers must have purchased a new Harley-Davidson during the promotional period from an authorised Harley-Davidson dealership. - Customers must have undergone training for their license and passed their motorcycle license during the promotional period. -Customers must present evidence of the payment of their test to Belfast Harley-Davidson dealership.